There are (nine) parts of (the country of Bharata), viz., Aindra, Kaseru, Tamraparna, Gabhastimat, Kanya, Saumya, Naga, Varuna and Gandhaarva. 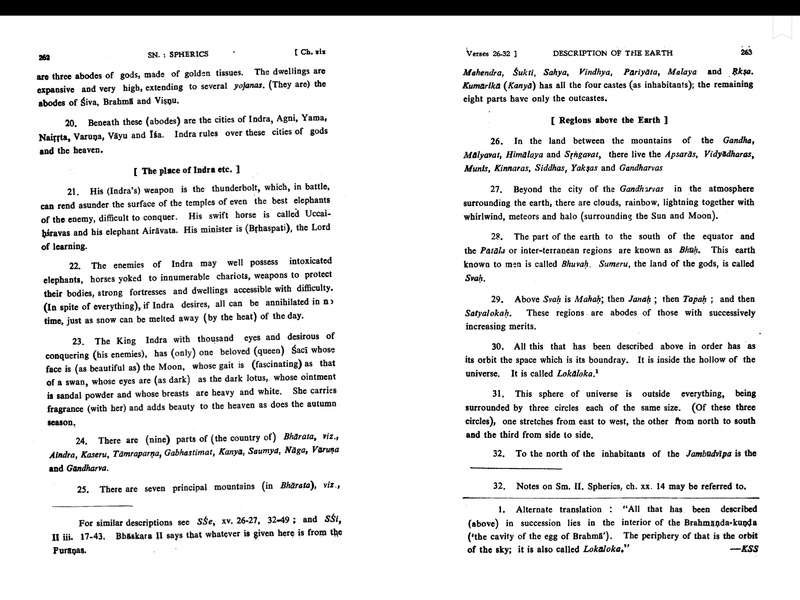 There are seven principal mountains (in Bharata), viz. Mahendra, Shulti, Sahya, Vindhya, Pariyata, Malaya and Riksha. Kumarika (Kanya) has all four castes (as inhabitants); the remaining eight parts of only the outcastes. My question is, what is the Kanya region of India which the Shishyavriddhida Tantra identifies as the only place where the four castes live, at least as of the 8th century? Holy regions like Aryavarta have, owing to the nature of the Yuga (Kali) become unfit for abode, owing to the rites of varna and ashrama getting mingled.... [W]e are also told about places where Bhagavatas live in Kali Yuga: "In Kali Yuga there will be born, here and there, noble souls who consider that Narayana is the supreme object of attainment. They will be born in number in Tamil Nad on the banks of the Tamraparni, of the Kritamala, of the Palar, of the renowned Cauvery and of the river which flows westwards[.]" ... As stated in these passages, it is these places inhabited by Bhagavatas, that are suitable for the residence of the prapanna in this Kali Yuga. In any case, are there any commentaries on the Shishyavriddhida which shed light on this? Browse other questions tagged mythology sri-vaishnava caste-system kali-yuga india . Was Chatur-ashram applicable for all the different castes?